"Click here" to read about ETDTA and how it all began in 1924. 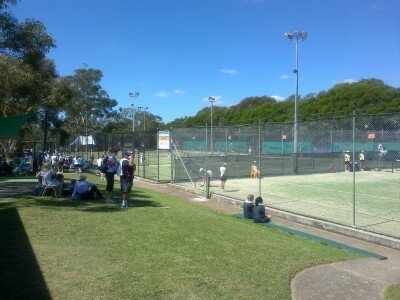 Set in picturesque Pennant Hills Park, our main tennis complex has 16 floodlit courts, presenting a wonderful opportunity for families to enjoy their tennis in a truly natural setting. 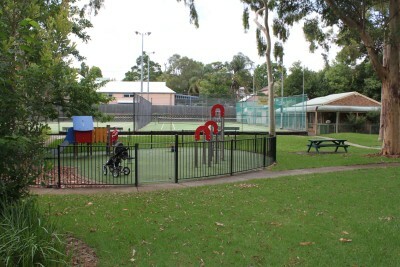 The park is an extension of the Lane Cove National Park, and many of the nearby trails provide access to the natural wonders of this important reserve. More photos . .
Our Midson Road complex has three floodlit courts, and is located in the David Scott Reserve at Epping, providing an accessible and family friendly facility with club house and council fenced children’s playground. More photos . .